The newly Microsoft-owned Minecraft passed 17 million sales over the weekend, Mojang announced in characteristically casual fashion this morning. 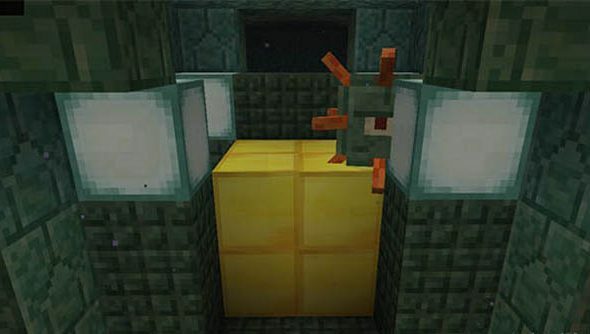 “Not sure if this continues to be noteworthy,” tweeted Minecraft Realms developer Marc Watson. Of course, Minecraft sales are noteworthy as long as we can drudge up the figures of famous games it’s outsold. Let’s get to it. So, then: Minecraft has now comfortably outsold The Sims, which mustered 16 million copies between the year 2000 and 2005. It’s long since overtaken Sonic the Hedgehog. In terms of CoD, more households own a copy of Minecraft on PC than do Modern Warfare or World at War – though Mojang are still two million customers off last year’s iteration, Ghosts. Minecraft has bested Pokémon Black and White, which has sold 15.58 million copies in its four years, and is just 630,000 copies away from the total attributed to 2006’s Pokémon Diamond and Pearl. Red and Blue remain a distant dream, however, at 23.64 million between them. Our Tim wrote an open letter to Microsoft about Minecraft. He was worried about the poor precedent they’ve set in studio upkeep, but excited by the possibility of more frequent updates and properly-supported servers. Where would you like to see Microsoft’s Minecraft money spent?